Only one in the world. There's only one on the planet and you're looking at it. I've had the pleasure of representing this coin four other times privately with each successive sale breaking the previous record. I've been asked once again to represent this amazing coin. This may be the only time in your life-time to see this beauty. This is also the first time in 13 years that this beauty has been offered to or seen by the public. The current owner is one of the most elite Eagle Error collectors on the planet that has decided his time has come to enjoy other things in life. 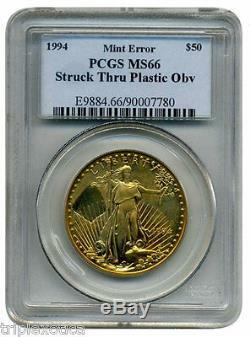 That said, PLEASE do not send low-ball or insulting offers on this world class coin. I can't stress that enough. I can go on for hours & hours trying to describe this coin as I did many moons ago. My last write up I described it as is it a proof or mint-state coin? Anyone that knows me will understand that statement. This coin is crazy & off the charts, how it ever got out of the US mint is beyond me. I'm going to step aside and let the coin do the talking. Here's my take on collecting some of the coins I sell. There is a big difference between the dealer who sells a few millions of dollars in precious metals with 10's of thousands of feedback, and the professional numismatist that not only places high end and rare numismatic material over the years & has formed deep and meaningful connections in the realm of owners of these rarities. You as an investor or even coin collector, need to spot the difference and utilize the services of the dealer who has the ability, knowledge, market reach and works for your goals, not his own. We will help you do that. We at Leonardo Garcia Rare Coin Investments know first hand that the collecting and investing in specialized rare coins is one of the most fun, rewarding and profitable things you can do. The sets that I've assembled over the last 29 years are a testament of my dedication & commitment to the hobby both personally and professionally. Check back every day during this month for some really nice coins! ALL coins are graded by either PCGS or NGC are guaranteed by the respective grading companies. Our coins may have a bar-coded inventory control sticker on the back so we can track our in-house inventory electronically. Removal of the bar-coded sticker will void any return privileges. If you like the coin and the bar-code sticker bothers you by all means take it off. We're using easy peel bar-code stickers. A clear image of the coin has been provided. We love answering ALL coin related questions! I'll try my best to answer all questions within 24 hours. I'm not on the computer on weekends or holidays, so any questions or offers received Friday after 2pm will be answered sometime on Monday. 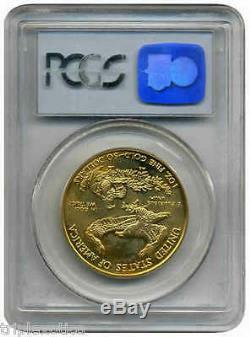 The item "1994 PCGS MS66 $50 Gold Eagle Unique Gold $50 Mint Error Struck thru PLASTIC" is in sale since Saturday, January 31, 2015. This item is in the category "Coins & Paper Money\Bullion\Gold\Coins". The seller is "triplexotica" and is located in Beverly Hills, California. This item can be shipped to United States.